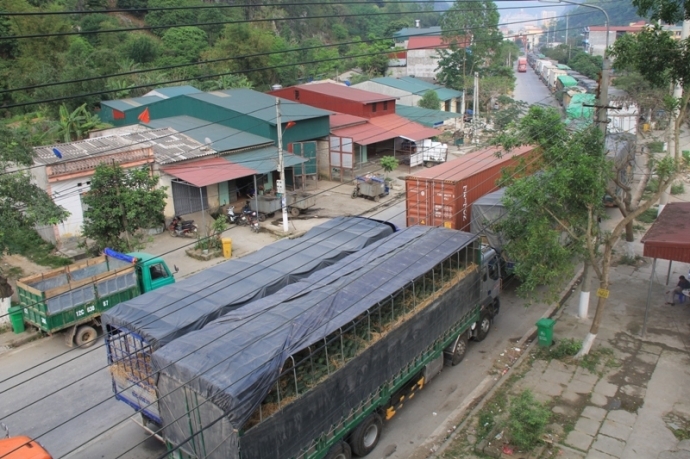 HA NOI (VNS) — Hundreds of trucks loaded with fruits have been stuck for a week at the northern Lang Son Province's Tan Thanh border gate, the main gate for transporting fruit to China. 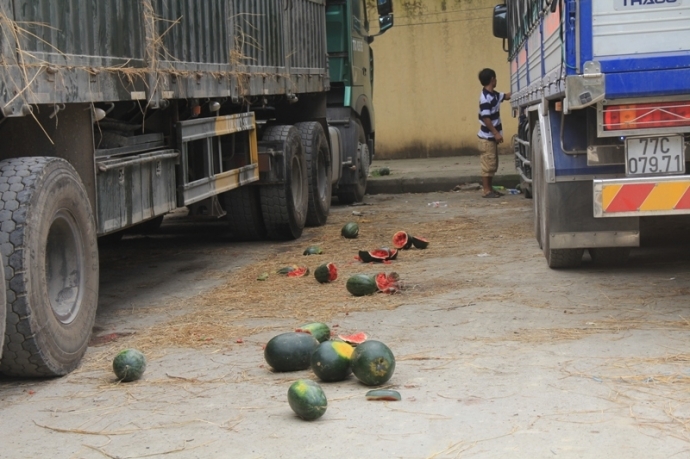 Dang Thi Ngan, deputy head of the Tan Thanh border gate customs department, said about 700 trucks loaded mostly with watermelons and green dragon fruits reach the border gate daily during this period. The fruit trucks flock to the border gate as China's demand increases when the Chinese people celebrate Tomb Sweeping Day, a holiday for visiting graves and paying respect to one's ancestors. The Chinese people believe watermelons and dragon fruits bring good luck. 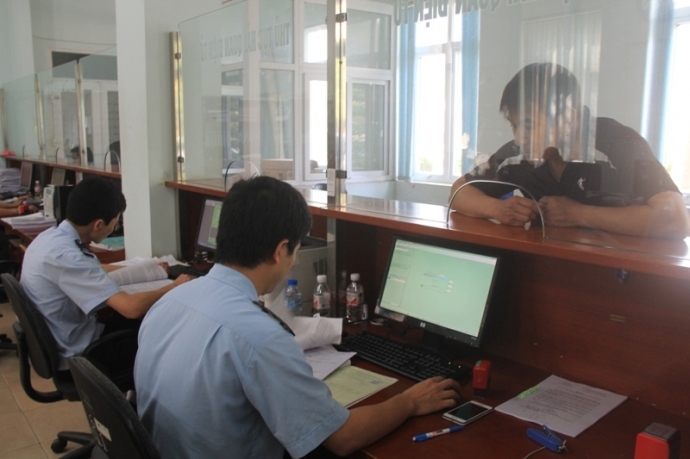 Officers in Lang Son province proceed customs clearance for truck driver. It takes about one minute to get customs clearance for each truck. Ngan told Giao thong (Transport) newspaper it would take about one minute to get customs clearance for each truck, but China was allowing only 300 trucks per day because of storage issues. Much of the fruit cargo decayed because of the hot weather. Much of the fruit cargo decayed because of the hot weather. Drivers and dealers had to unload and throw away the rotten fruits along the 6km-long road to the border gate. Officials from Viet Nam and China have agreed to keep the border gates open till 8pm to help accelerate the trading process, reduce congestion and the waiting time of the drivers and fruit owners, she said.